The game was created for the MiniGameJam24(Space+mouse only game in 48hrs). 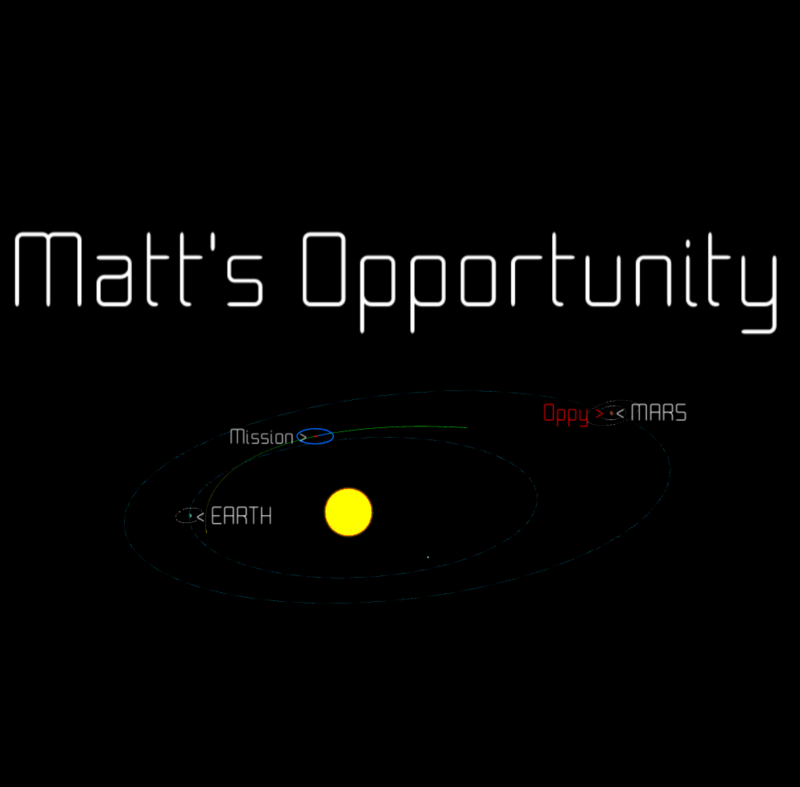 PLOT: In this game, you try to revive Opportunity Rover ("Oppy"), who got deactivated in a dust storm in 2018. The obvious way to do so is to send one of our Martian experts: Matt Damon, or at least one of his look-alikes. SHIP CONTROL: Most of the ship control is done using the right hand-side panel. The take off (Stage 1 rockets) can be done by clicking directly near the planet Earth, but for the rest you will have to click the buttons. Once you are very close from Mars, you can use the landing module to awake Oppy! (not the first trip, because it is an unmanned one... we don't want you to kill Matt with your lack of space experience). MISSIONS: once your ship is out of service (perhaps your famous person died, or the fuel got exhausted, or just the ship ended out of reach) you can launch a new mission using the left hand-side panel. 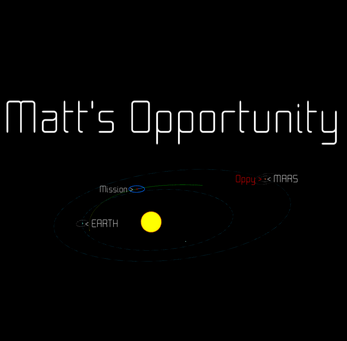 You can use as many unmanned probes as you want, but you only can awake Oppy using Matt (or one of the other almost-as-famous look-alikes). EXPLORATION: Before, during or after your trip to Mars, you can try to explore all the interesting points in the sector (indicated with magenta). CAMERA: you can use the mouse wheel to zoom, and rotate the camera using right click. Code: if for whatever reason you want to see how it works, here is the code (Unity 2018.3.5f1). Things are not particularly clean, so beware (or at least they were clean, until I had to make the GUI, so please do not look at the MissionControl).